is located on Lake Garda, the largest and one of the most beautiful lakes in Italy. 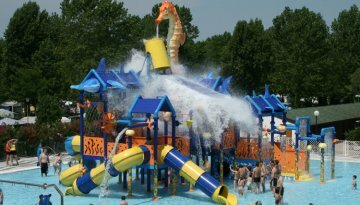 A family friendly campsite, Bella Italia is perfectly located close to the wonderful lakeside town of Peschiera del Garda. 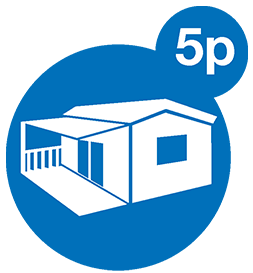 With plenty of other towns to visit nearby, this campsite is directly on the lake and offers a wonderful pebble beach; perfect for sun and water lovers alike! Nearby there are plenty of activities to keep the whole family entertained; canoeing, windsurfing, parasailing and much more. 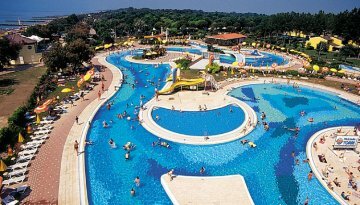 is the first 5 star campsite in Italy and offers a huge sandy beach – over 1.2km long! There are plenty of activities to keep everyone busy including beach volleyball and pedalos. For the small ones, there are two children’s playgrounds. “A beach the size of the sea!” is right at the gates to this wonderful location. With plenty of space for everyone, the beach is constantly monitored by lifeguards and is a perfect spot to lounge in the sun, play in the surf or simply stroll at sunset. 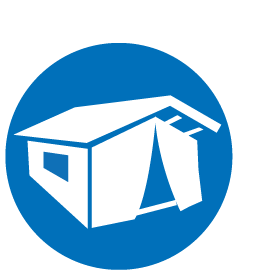 Camping Pra' delle Torri: sea and sand! is supervised and well equipped with sun loungers and parasols. If you prefer something a little more energectic, the campsite has its own water sports center, offering a wide range of activities. 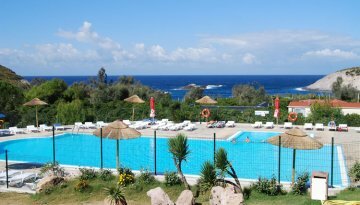 In a wonderful location, Camping Bella Sardinia offers guests its own private beach where even sea turtles often visit. The beach has sun loungers and parasols available for rent and offers a good range of activities for all the family including snorkeling, windsurfing and sailing. When you fancy a break from all that sand, there are plenty of hiking trails through the nearby nature reserve. 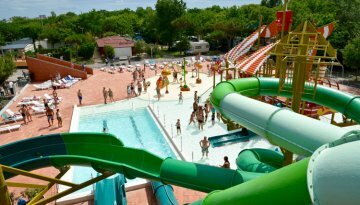 Camping Cisano San Vito offers one of the very few sandy beaches on Lake Garda. Exclusive to guests of the campsite, the beach has complimentary sunloungers and parasols and gives direct access to the lake. You can even stroll along to the beautiful nearby towns of Bardolino and Lazise. 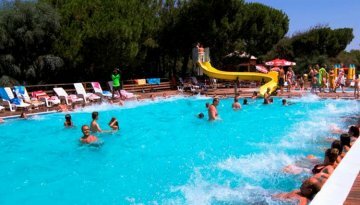 Camping Sant Angelo has a beautiful private beach and is well equipped with sunloungers and parasols. Perfect for families, the beach also has a playground and a paved walkway – perfect for prams! With wonderful views over the sea, Camping Tonnara has it’s own private beach and offers lots of water activities nearby. Visit to have your own little piece of paradise. 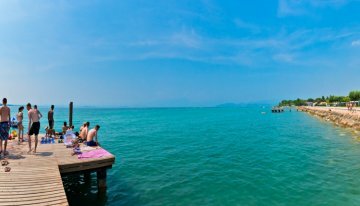 Overlooking Lake Garda, Campeggio del Garda offers guests direct access to the lake and boardwalk, a perfect excuse to take a dip in the refreshing waters of Italy’s largest lake. 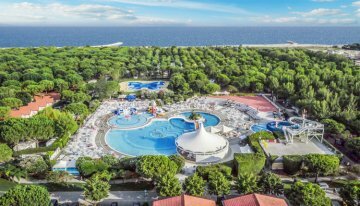 With direct access to the wide sandy beach, Camping Spiaggia e Mare is a great family-friendly campsite on the southern Adriatic coast. Close to the fishing town of Porto Garibaldi, take a walk along the beach, soak your feet and enjoy an ice-cream (or aperitivo!) on the way! 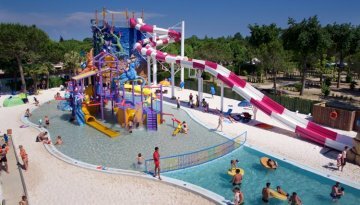 2 Amazing Water Parks onsite! Perfect for families & children! Free Wifi on the campsite! New pool with pirate ship!